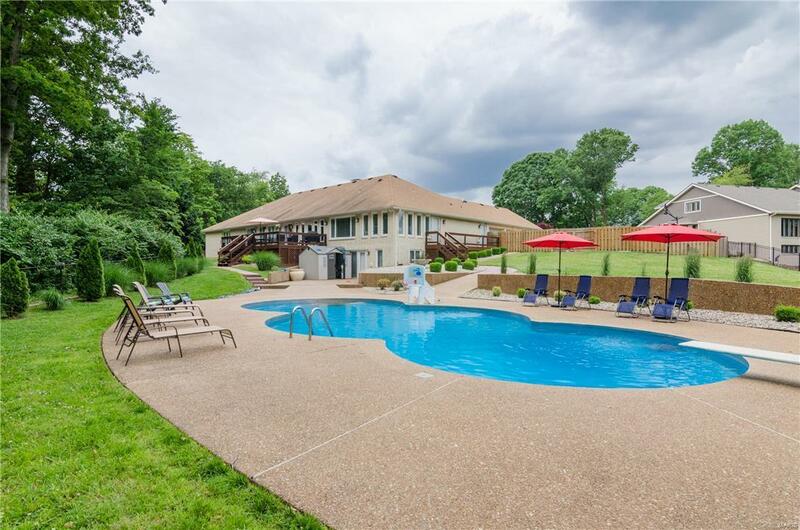 Custom built executive home with numerous updates. 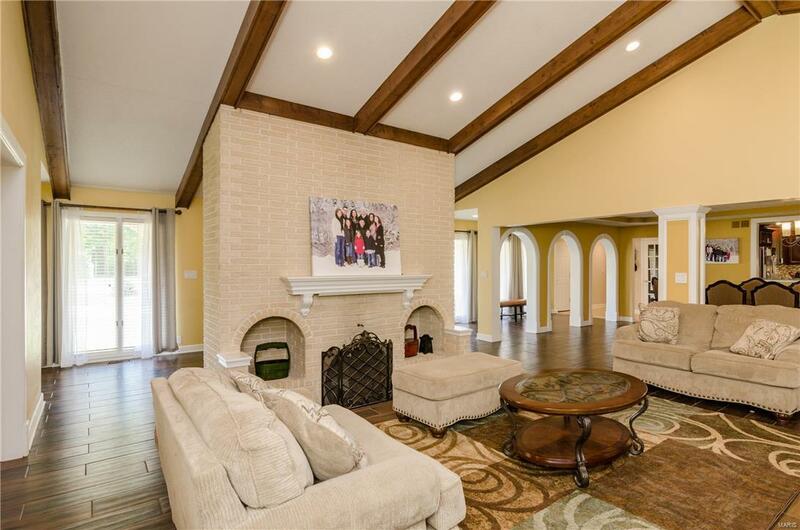 Open floor plan with large rooms perfect for entertaining and family gatherings. All baths have been updated and feature new flooring, vanities, lighting, showers and more. Kitchen is updated with all of today's modern amenities. All new tile flooring throughout. 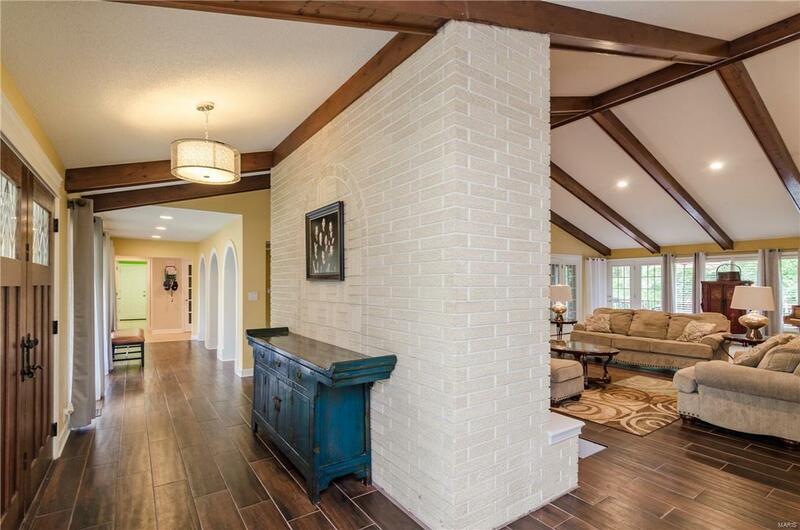 Cathedral and beamed ceiling in Living Room with french doors to glassed in porch and deck. 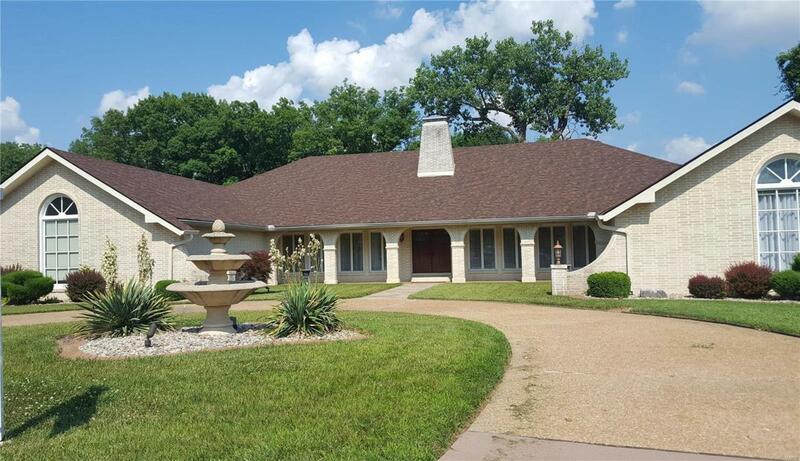 Home is situated on 3 private wooded fenced acres. Walkout to large patio with in ground pool. Decks along side and back of home. Located in established and desirable neighborhood. Security system, irrigation system and central vac. 3 car side entry garage. Front circle driveway. Main floor laundry. Large mud room, office and media room are but a few of the many features. Zoned HVAC 2011. Roof 2017.